Interceptor Repair Our interceptor repair services will ensure any faults with your interceptors or associated infrastructure e.g. interceptor alarms are repaired to requite standards in the most cost efficient manner. 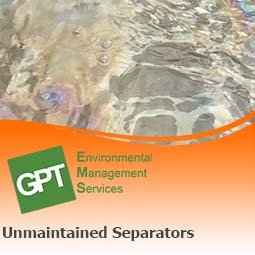 We frequently find that due to their underground location broken oil interceptors go unnoticed for prolonged periods of time, this can allow oil to escape the system leading to surface water, ground and groundwater pollution. It is essential to ensure that any faults with your interceptors are fixed as quickly as possible to prevent this pollution. Structural damage to GRP systems can be repaired using specialist epoxy resins and GRP patches. Repairs can be made for structural damage to brick built systems using our trained civils staff with specialist product. Broken coalescer devices can sometimes be refurbished and reseated depending on the nature and extent of the damage. If the coalescer is beyond repair we work with all major interceptor manufacturers and can source (or have manufactured) replacement coalescer filters. If there is a problem with your high oil or silt alarm we will endeavour to repair it where possible, if it is beyond repair we can supply and install new high oil and silt alarms. We will endeavour to repair broken interceptor automatic closure devices where possible, if it is beyond repair we can supply, install and calibrate new automatic closure devices. How do you repair a broken oil interceptor? Installing an interceptor is a significant investment for any site; however they are out of sight and out of mind. Often this means that proper maintenance isn’t conducted. Sometimes well maintained interceptors will develop faults, however if proper maintenance isn’t conducted the chance of the system breaking becomes substantially higher. If a fault with your interceptor has been identified you are not alone, often we discover breaks to interceptors or associated infrastructure during our interceptor maintenance or servicing. This is especially common when ISO 14001 auditors flag up that proper interceptor maintenance isn't being conducted and we are conducting the first maintenance on the system in years. Most interceptors will require specialist companies to repair them to requisite standards and should not be attempted by internal personnel. 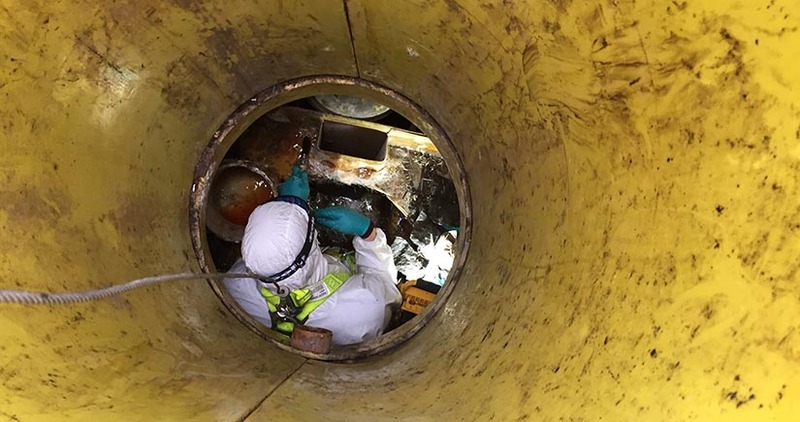 If structural damage has been discovered we will usually need to perform a Confined Space Entry to inspect the extent of the damage in order to accurately assess what repairs are needed. For some repairs such as high oil alarms and coalescing devices a CSE will not usually be necessary. Once we have assessed the damage a suitable repair will be designed including the need for any specialist parts/materials. Following the repair of any system a report will be produced. The report will detail the faults and the effectiveness of the repairs, this can be presented to external bodies e.g. Environmental Regulators and ISO 14001 auditors in line with the requirements of BS EN 858-2:2003. We are experienced in repairing all makes of interceptor including SPEL, Morclean, Kingspan, Klargester, Conder, Premier Tech Aqua and Camplas. Our expertise with interceptors means that we are also able to repair all types of interceptor class 1 (class I), class 2 (class II), by-pass and full retention. "Keep a detailed log of when the separator is inspected, maintained, emptied and serviced. Also record specific events relating to the separator system such as cleaning, repairs, accidents and incidents."